If you have a music request, Audials will find it! You can request music, albums or entire discographies of artists and Audials will do the rest of the work in the background. You'll be able to download a lot of hits immediately from YouTube or other legal sources. 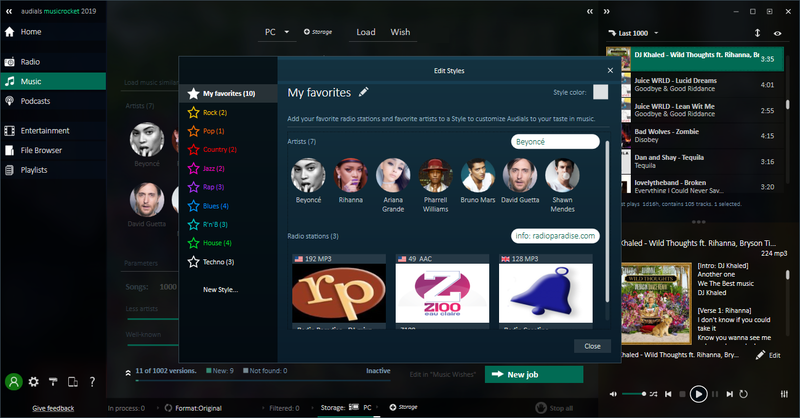 For the rest, Audials will find the right Internet radio and will quickly provide you with your music free of charge. Audials lists all available versions of the track you're looking for on YouTube, Soundcloud, Vimeo, Veoh and Dailymotion. With a single click you can listen to it, or save it to your music collection. You will be thrilled at how quickly and easily this works! 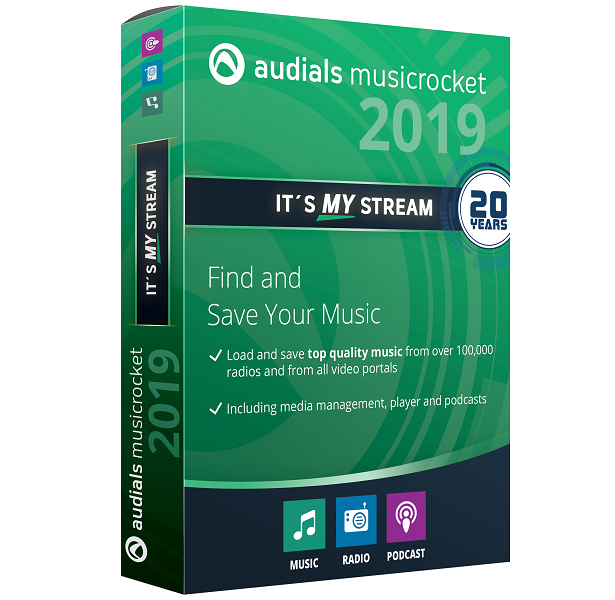 Tell Audials what artists or radios fit your style and Audials will find the best new music for you! Boasts the best variety with over 100,000 internet radio stations from 120 music genres from all over the world at up to 320 kBits/s. 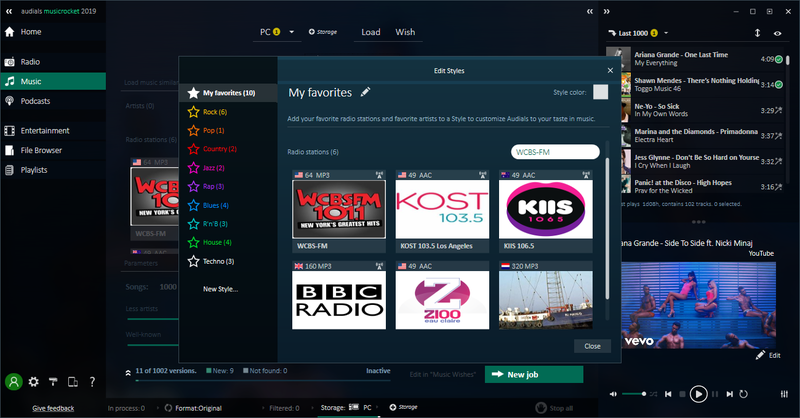 Audials monitors tens of thousands of radio stations 24/7 and will find the best radio to record your favourite music. Avoids moderation and adverts. Edits music with millisecond precision. Saves tracks with ID3 tags, cover artwork and even the lyrics. Listen to your favorite stations according to your music styles on your PC, smartphone and in the car. Browse more than 350,000 podcasts with millions of episodes for you to watch or listen to. Subscribe and save your favourites for a larger variety of entertainment. 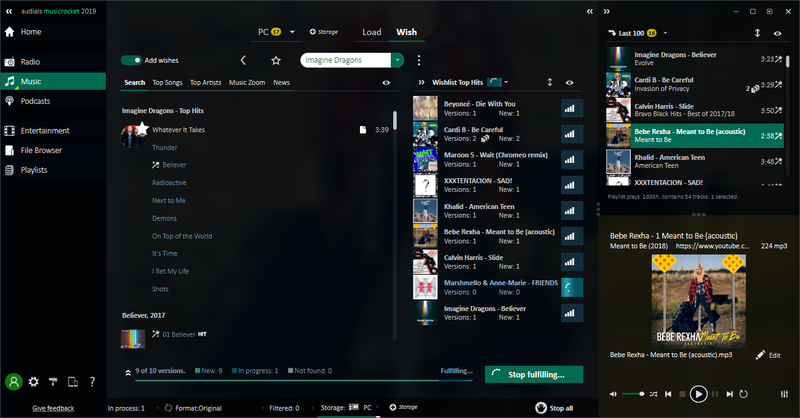 Enjoy music, radio stations, podcasts and music videos either in full-screen mode or as a separate mini-player and experience the best entertainment.